Large corner lot VILLA in FEATHER COVE! 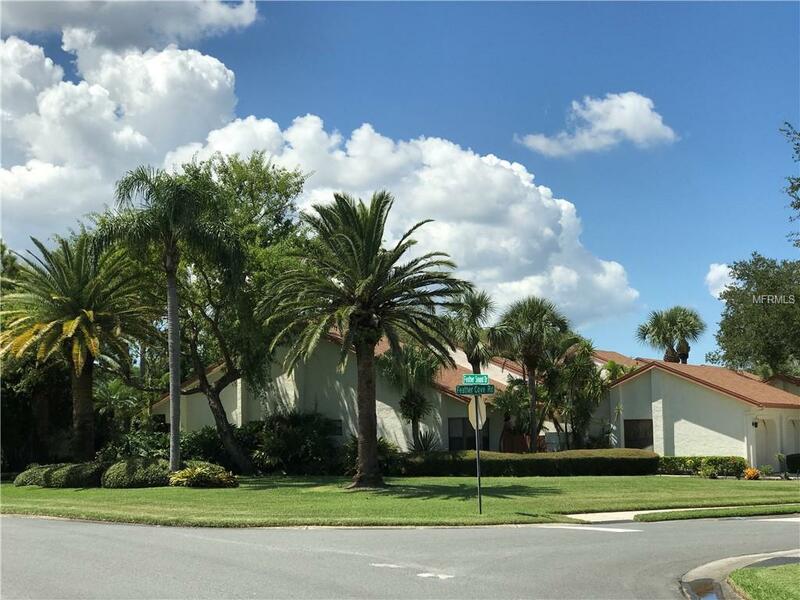 Don't miss this rare opportunity to own in one of Tampa Bay's most impressive and centrally located communities, Feather Sound. Upon arrival, you'll enjoy a very private and quiet Courtyard entrance. Inside you'll find an updated Villa with modern feel & spacious interior layout. Highlights include: * 2 BDR/2 Bath plus Den & Sunroom (1,315 square ft. End Unit) * 1 car painted garage and floor with epoxy paint finish * Gorgeous hardwood floors throughout living room and den * Vaulted ceilings throughout Villa * A/C and HEAT system with digital thermostat * New GE 1.6 Cu Feet over the range microwave in 2018 * New hot water heater in 2017 * New Roof in 2017 * New Genie garage door system installed in 2016 * CA closets throughout townhouse including laundry area & kitchen pantry * Whirlpool, Maytag, and Hotpoint appliances (stainless steel side by side refrigerator, range, dishwasher, disposal, washer & dryer) * Security system available * Private courtyard with paver stones and palms * Beautifully landscaped huge front lawn * Year round heated swimming pool with clubhouse * 15 minutes drive to Tampa International Airport, downtown St. Petersburg, beaches, and Tampa Live among a meticulously maintained community comprised of upscale single family homes, townhomes and Villas. Feather Sound offers the perfect location for anyone living, working and/or commuting the areas of Pinellas and Hillsborough Counties.